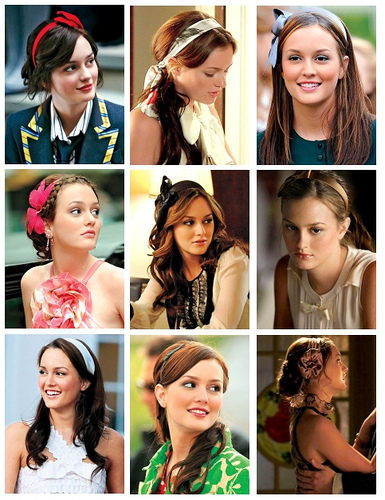 It was Blair from Gossip Girl who brought the headband back into the spotlight and now we are seeing everyone from celebs to teenage girls wearing them in new, innovative and enticing ways! I have hunted down some of the most stylish and unique ways for wearing headbands this summer season! Dress up a Pixie cut! If you have short hair then a perfect way to give it an instant glam look is to add a headband. Be sure to choose one that is relatively skinny and lays flat to your head so as to not overwhelm or distract from your cute short cut. Not many girls can rock a pixie cut, but for those who can, I’m jealous. The right Pixie cut can look so darn chic! I am a HUGE fan of DIY crafts, and I have tons of ribbons and scraps of fabric hanging around my house. If you do too, put them to good use and create your very own simple DIY headband. Floppy bow headbands are easy to create. Here is what you can do: find any ribbon or thin strip of fabric that is lying around your house that’s long enough to wrap around your head twice. Begin by positioning the material at the base of your head, pull the sides of the material up behind your ears and tie it into a cute floppy bow. Be sure to twist it to your desired angle and adjust to any position that you desire. Low chignons and French twists can get boring—adding a headband is a simple way to spice up an updo by adding a bit of fun to a style that is classic, yet can sometimes be overdone. I would choose an embellished headband that will glam up whatever outfit you are wearing. I feel that the same rule that goes with statement jewelry should be applied to wearing a statement headband. Keep it simple! If you’re wearing a statement headband then opt for a cleaner look. Take a minimalist’s approach to your jewelry, if you even need to wear jewelry at all. I normally don’t, but on occasion I will add simple stud earrings, and that’s all. If you’re the type of fashionista who likes to color-coordinate your legwear, outfit and accessories, please be sure to take a risk and add a little twist by mixing it up with different patterns and textures. Matchy-Matchy outfits can be bah-oring, so spice it up with a unique headband! We all have them floating around our rooms, closets and cars. Scarves are easy add-on accessories; they can dress up a plain tee and act as a mock necklace. Summer scarves are usually made of chiffon, so they’re light and breezy. 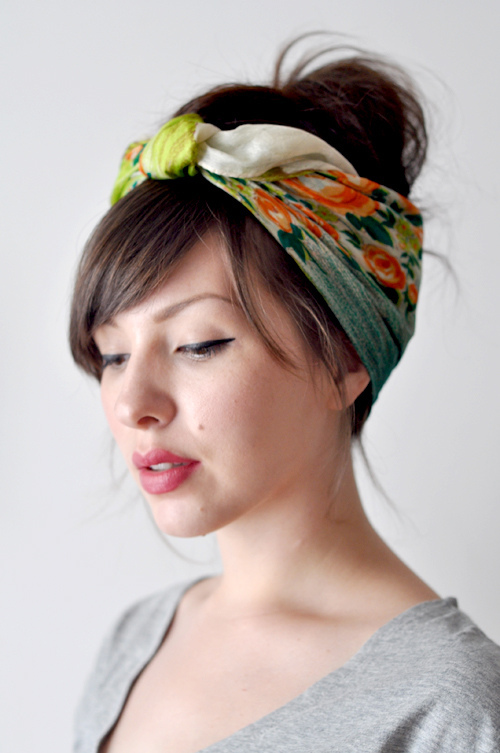 If it is too hot to wear a fashion scarf around your neck, then tie it into your hair as a turban or knotted head wrap. 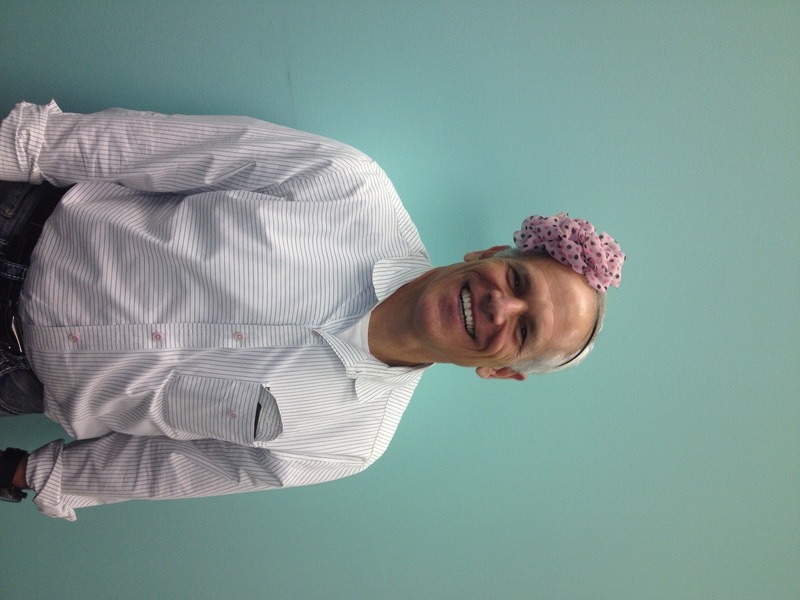 Headbands are all the rage this season! They make great statement pieces, add-ons and there are so many ways you can style them! I personally love headbands and am excited to see this trend carry through this spring/summer season. If you’re looking for the right headband, then head to gliks.com or visit a Glik’s store location nearest to you! Warning: This headband trend is intended for female fashionistas ONLY.